Drinking milk is recommended during pregnancy. But, when it comes to choosing the right type of milk for you and baby inside your uterus, you might have a hard time to make a decision. There are a variety of kinds of milk available on the market today and soy milk is one type available for you. Soy milk derives from soybeans and is rich in proteins and amino acids. Is soy milk safe to consume during pregnancy? Drinking soy milk while pregnant is not a forbidden thing. However, just with everything else, you should drink it moderately. Soy milk can have side effects on you and your baby, so you should consult with your healthcare provider if you are concerned about it. Soy milk contains folic acid which is very important for pregnant women. Folic acid, when taken regularly, can help prevent the neural tube defects such as spina bifida and anencephaly. Soy milk contains vegetable fat, a good type of fat which helps control and combat the bad cholesterol in the human body. Soy milk during pregnancy is recommended due to the fact that it is rich in vitamins too. Soy milk contains vitamins A, B1, and E.
Soy milk is rich in carbohydrates as well. Pregnant women have an increased need for energy due to common fatigue. By drinking soy milk regularly, the necessary carbohydrates can be provided and the necessary energy during a day can be met. Soy milk is rich in proteins such as arginine, isoleucine, lysine, glycine, threonine, etc. Proteins contribute to the normal development of the organs of the baby. 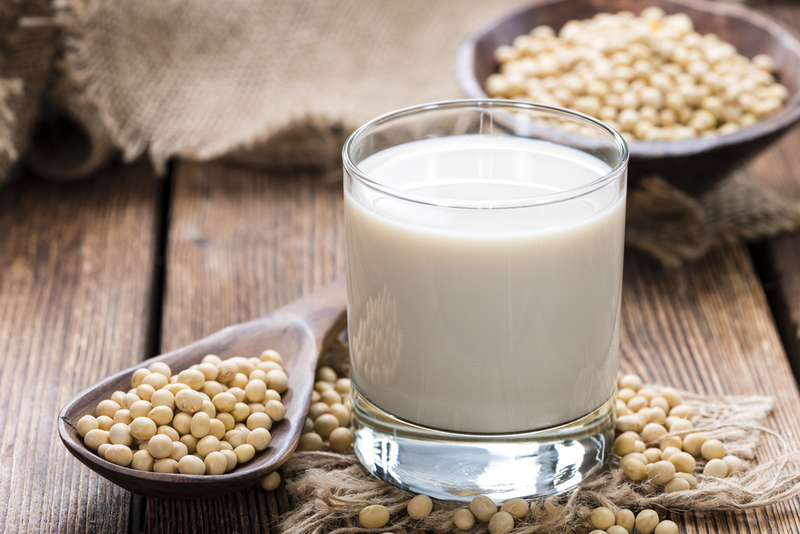 Sometimes, an allergic reaction to soy milk can develop, especially if allergic to soybeans. Rarely, an allergy to soy can lead to anaphylaxis which is a severe and life-threatening condition. In general, rash, hives, nausea, vomiting, difficulties breathing, swelling, etc., occur due to an allergic reaction to soy milk. According to studies, pregnant women who consume a large amount of soy milk during pregnancy are more likely to give birth to children with genital area defects. Isoflavones in soy milk also increase the risk of acute migraine headaches. Soy milk in moderate amounts is safe to consume during pregnancy. If you are not allergic to soy milk, you are supposed to drink at least one glass of soy milk a day. Soy milk is also a good alternative for pregnant women who have lactose intolerance. What Are the Other Milk Products to Drink During Pregnancy? Cow’s milk is rich in vitamins A, D, E. It is rich in amino acids as well. 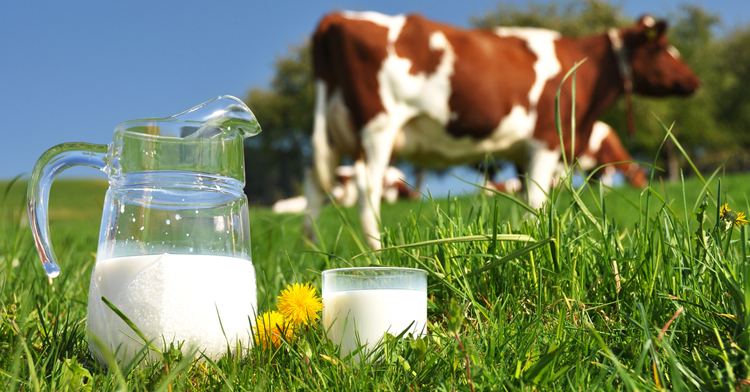 285 mg of calcium are provided with just one glass of cow’s milk. Cow’s milk is the most widely used type of milk and it is available in different varieties such as fat-free milk, whole milk, flavored milk, skimmed milk. One glass of skimmed cow’s milk contains 83 calories and 305 mg of calcium. Skimmed cow’s milk is processed milk from which the saturated fat is removed in order to make it less fatty and light. Drinking 2 to 3 glasses of skimmed cow’s milk a day is recommended for pregnant women to meet the necessary daily needs of calcium. This type of milk contains about 3.5% more fat. One glass of full cream milk contains about 5 grams of saturated fat and about 149 calories. Full creamy milk is not recommended for overweight women during pregnancy due to its fatty nature. The milk should be pasteurized if consumed during pregnancy. Unpasteurized milk is not safe for consumption as it can lead to the development of listeriosis. The pasteurization process slows down the growth of bacteria while it is heated. Goat’s milk is rich in vitamin A and vitamin B2. Vitamin B2 boosts the production of antibodies from the immune system, helping you remain healthy. When compared to cow’s milk, it is richer in proteins and contains smaller butterfat globules, which helps lower the levels of bad cholesterol in the human body. Goat’s milk helps speed up the metabolism, increasing digestion. 283 mg of calcium is provided with only one glass of goat’s milk. Goat’s milk is available in different varieties, such as fresh milk, organic or UHT. Some women might not prefer goat’s milk due to its taste. However, it has great nutritional benefits worth trying. 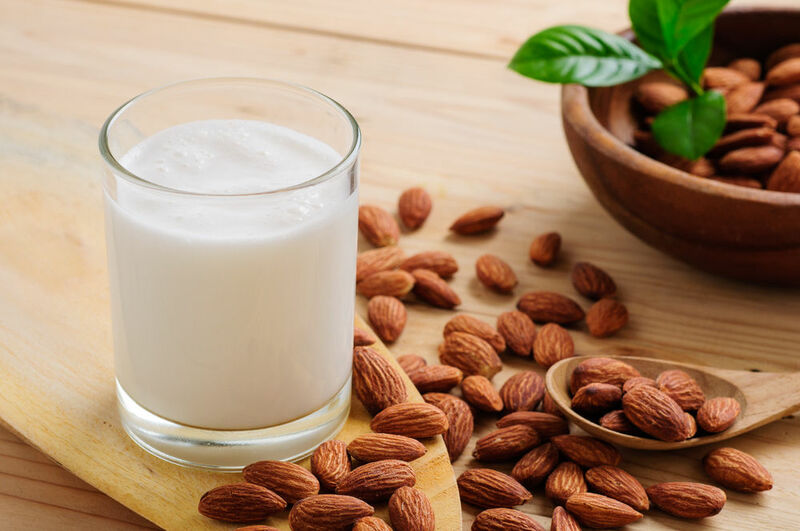 Almond milk is rich in iron, calcium, vitamin B, vitamin E, as well as fibers, proteins, and folic acid. It is also low in calories and rich in antioxidants. This type of milk is recommended over soy milk during pregnancy for women who are allergic to soy. Almond milk is prepared from water combined with grounded almonds. 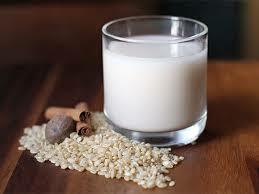 Rice milk is low in fat and proteins, but rich in vitamin B, calcium, manganese, selenium and antioxidants. 20 mg of calcium is provided with just a glass of rice milk. Rice milk is available on the market in different varieties, such as calcium or protein-enriched milk, skim milk or flavored milk. It is prepared from water combined with ground rice. However, even though rice milk has great health benefits, it is not recommended for diabetic pregnant women as it contains four times more carbohydrates than the cow milk does. Oat milk is rich in various minerals such as potassium, manganese, or phosphorus. It is also rich in vitamins A and B. 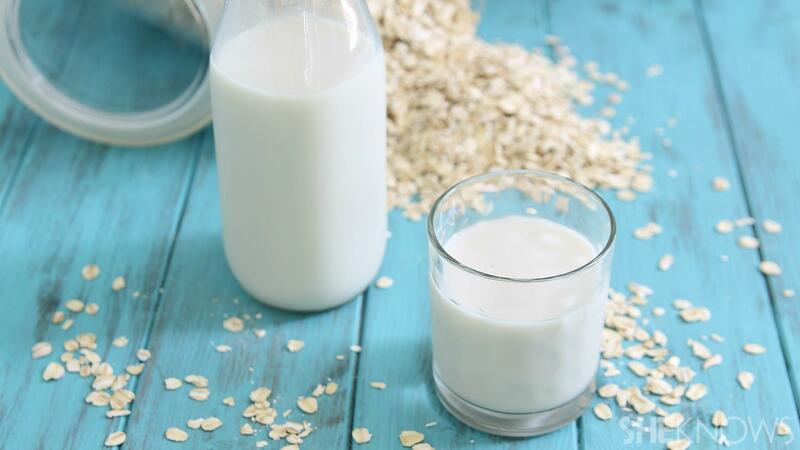 About 120 mg of calcium is provided with just one glass of oat milk. Oat milk is richer in proteins than almond milk or rice milk. However, it contains fewer proteins when compared to cow’s milk. It is also rich in fibers, which is especially important to prevent constipation, a common problem for pregnant women.